1.Investigate the cause of a quality related failure or any other problem that impacts production. 2.Document the reasons for the failure, the people, process and actions involved in rectifying the same. 3.Set up a process to maintain equipment and ensure the failure doesn’t take place again. 4.Keep a track record of all incidences, to analyze failure patterns and predict the chances of the same happening again. • Tracking incident history, equipment/ID and asset tags manually is inefficient and time consuming. • Visibility and detailed information of the progress of open RCFA’s are limited. • Paper documents are susceptible to ware and damage. 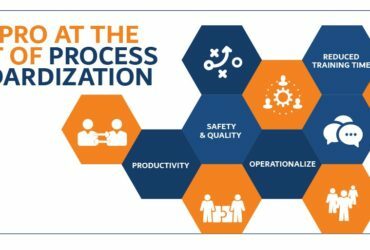 UnitXPro’s is designed to help businesses operating in the Oil and gas sector simplify their RCFA process while helping them improve on their quality standards, accountability and visibility. UnitXPro’s customizable system can be tailored according to industry specific RCFA processes. It can also be configured to integrate with existing CAPA, ISO, LEAN or Six Sigma systemic process improvement methodologies being used by the organization. UnitXPro’s evidence based method enables oil and gas businesses to uncover genuine systemic and non-systemic causes of failure. This provides them with insights as to where they need to focus their resources, either to amend processes or equipment to continually improve the operational efficiency of their assets. • Ensures that employees carry out RCFA’s correctly according to set procedures and Industry Best Practices. • Removes the reliance on subjective guess work, old-faithful solutions and circular discussions replacing this with a repeatable process, scalable for accuracy and built on objective analysis. • Ensures effective and efficient collection, management and visualization of data related to asset condition and performance. • Increases Overall Equipment Effectiveness ensuring that equipment functions properly resulting in higher production values and better product quality. • Improves accountability across your employees. • Reduces Cost and unplanned plant down-time by 36% while optimizing operations and maintenance cycles. • Helps businesses strategically allocate administrative resources required to keep assets operating efficiently, maintaining a financially- optimized maintenance strategy. • Real time analytics and integrated dashboards provides top management with visibility of all RCFA’s that have been carried out or are in progress, providing them with relevant information from multiple operating units in a consolidated location. In-depth analytics also helps you track and measure an individual asset’s operational efficiency. • Helps units function according to compliance and guidelines set by QHSE regulators. • Provides automated reports for improved transparency and compliance. With UnitXPro businesses operating in the Oil and Gas sector can track and evaluate the RCFA status of all operational assets in real time helping them maintain continuity and reducing risks related to compliance, quality and safety. This real time capability, is crucial to the oil and gas industry enabling them improve their operational excellence, helping businesses increase overall plant and resource efficiency, minimizing unplanned down time and increasing overall production.